The lake was supposed to be called Wyeth. Rumor has it that the Wyeth family did not give permission and the name was changed to Lake Thoreau. 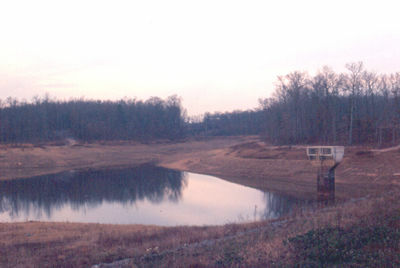 The following are some of the pictures taken during and after construction of the lake. 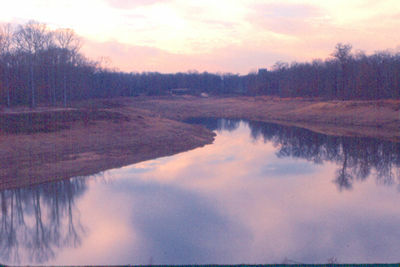 This picture was taken from the Lake Thoreau dam. The International Center building can be seen in the background. 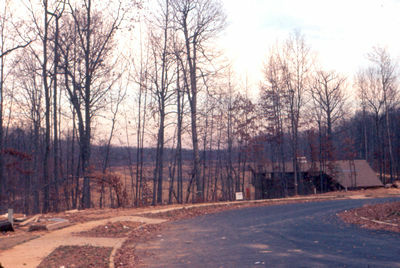 The house in the distance is on Purple Beech Drive and will also appear in the next 2 pictures. This picture was taken from the Upper Lakes Drive area. The location is now under water. This picture provides a closer view of the same house on Purple Beech Drive. This picture is taken from Purple Beech Drive showing the front of the same house. The view is towards the Lake Thoreau dam. 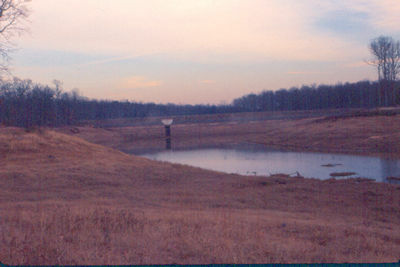 This is a view of the Lake Thoreau dam from a location near Upper Lakes Drive that is now under water. This is a closer view of the dam from a location near Harbor Court that is also under water now. The lake is quite deep where the water is shown. 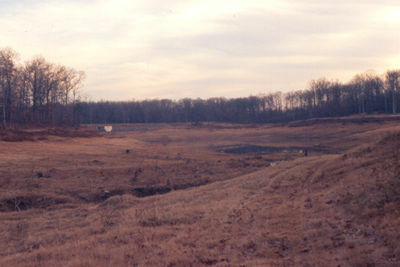 This is the view from the Lake Thoreau dam looking towards what is now Lake Thoreau Pool. 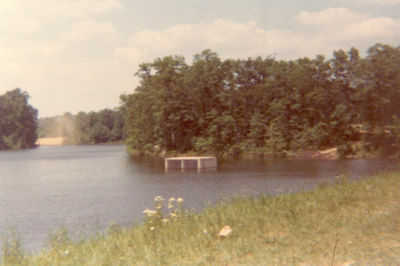 This is the view in 1974. This picture was also taken from the Lake Thoreau dam at a slightly different angle than the previous picture. 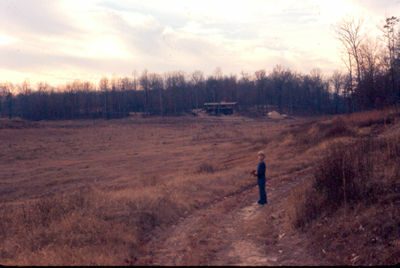 This picture was taken in 1976 after the lake was filled. Building construction had not been started on this side of the lake yet. There are still wildflowers growing along the dam.